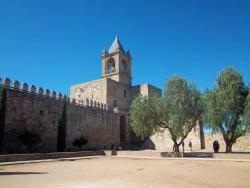 The fact that Antequera was named by the Romans because they considered it to be old gives you an idea that this place has some history. 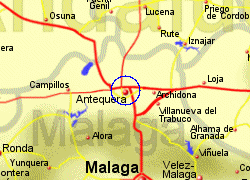 Situated approximately 35Km inland from Malaga on the Costa del Sol, overlooking the fertile cultivated valley of the Guadalhorce River. 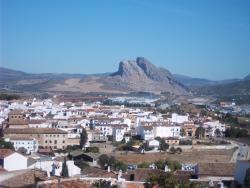 Antequera is famous for its' megalithic mass tombes, made from huge slabs of rock by the original Iberian people nearly 5,000 years ago. 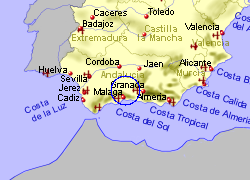 The most impressive, the Menga Cave, has a gallery supported by giant pillars, with one of their stones weighing over 300 tonnes. 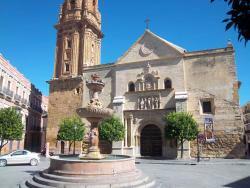 Other places of interest include the Roman baths (recently excavated), the Renaissance church of Santa María la Mayor, the Church of Nuestra Señora del Carmen, and the Arch of the Giants, dating from 1585, leading to a 13th century Moorish fort (alcazaba), which is well worth a visit. 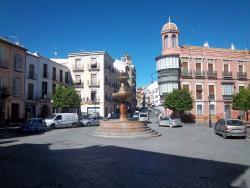 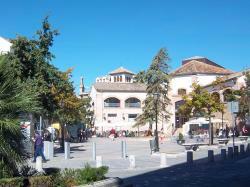 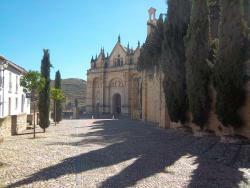 This large town is the most populated in the province outside of the city of Malaga. 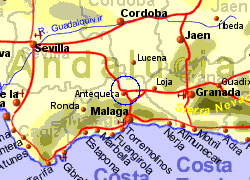 Map of the Antequera area.